I created a little flower from one sheet of tissue paper (pleating, cutting and then unfolding) and then tied the center with a ribbon that I inserted into the take out favor box from Taylored Expressions. It was fun to line these tags up on the birthday table - I love these tissue flowers - they last long after real flowers have wilted and it was fun to make these tags to let the sweet birthday girl know that she is simply fabulous and is simply LoVeD!!! 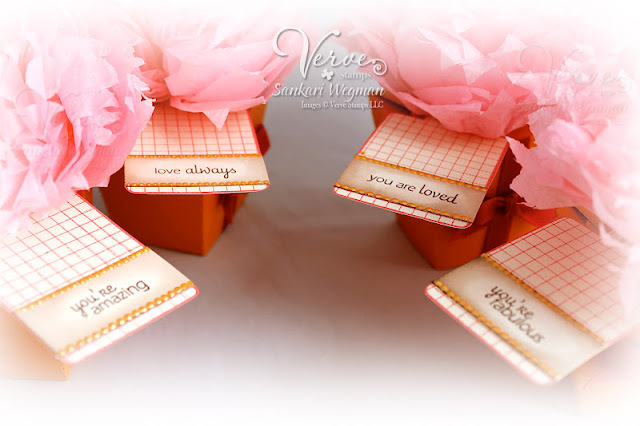 My most favorite thing about crafting is creating little things for the people I love - it makes me so happy to create things that makes my dear ones know how loved and treasured they are :) Love all these sentiments - they express my heart sentiments perfectly! 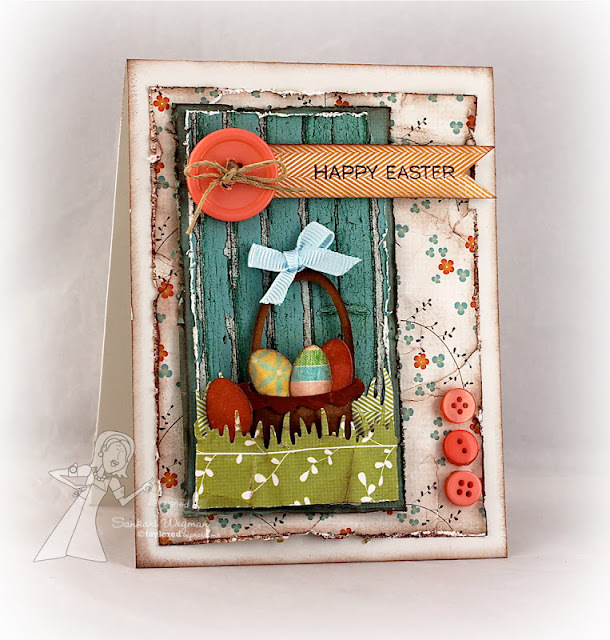 The is my last week as Artist for the month of March '12 and I have had so much fun creating the cards for Our Craft Lounge stamps. 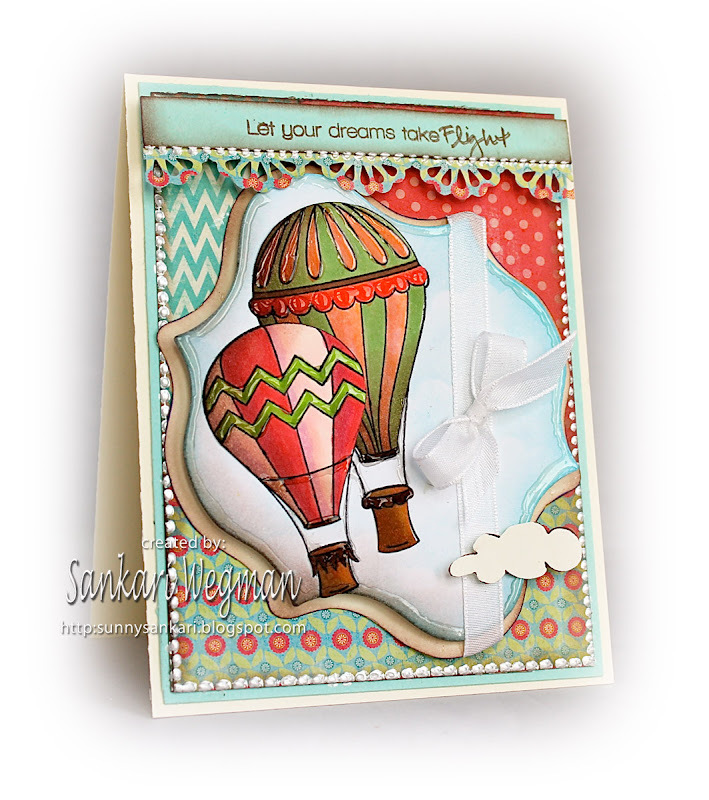 My last card uses the Love is in the Air stamp set from OCL - love these balloons and the sweet sentiments. I masked the smaller ballon and stamped the larger one behind it and then stamped them separately on a different paper where I colored them with copies, cut them out and then adhered them over the initial stamped images. 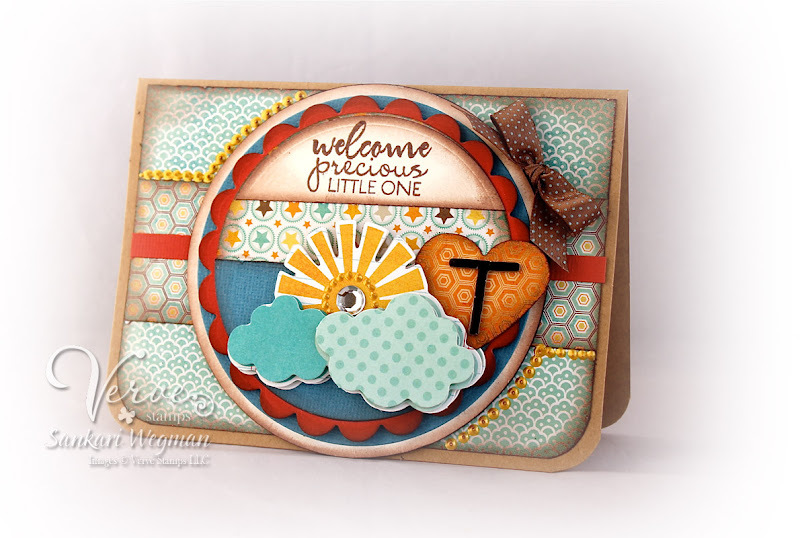 The clouds were masked with a scalloped circle (from a punch) and then I cut the image out with Spellbinders and matted it onto white card stock. 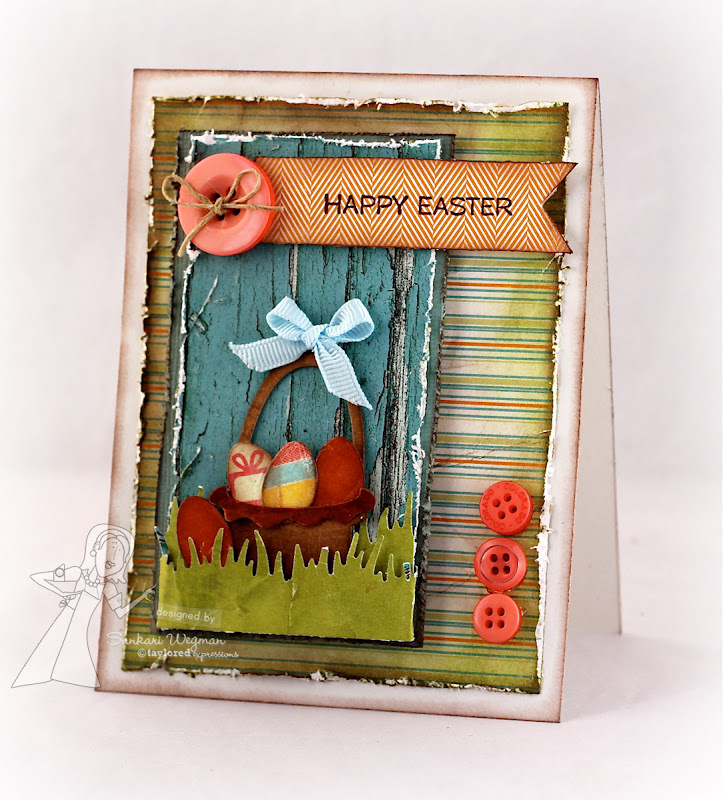 The sides were sponged and then I put some different strips of DP from MME around the image and then added a little ribbon from May Arts. 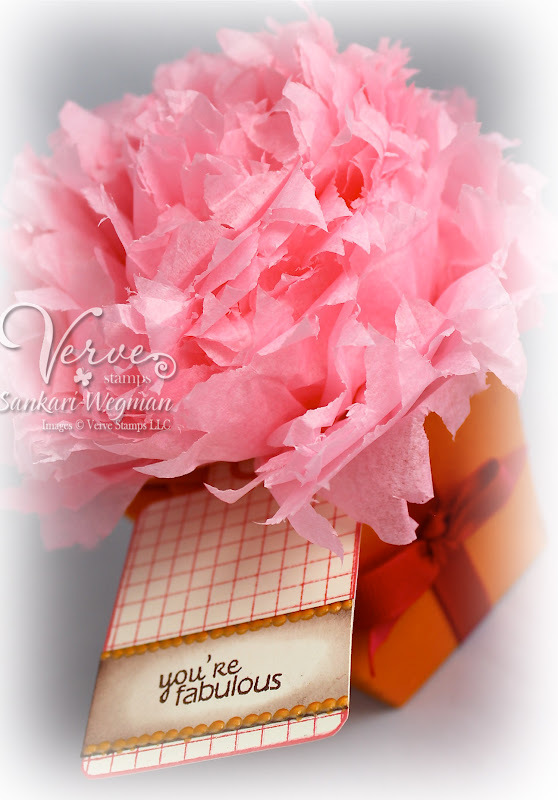 I love this sentiment - "Let your dreams take flight" - so inspiring and so beautiful and I love this font! Underneath the sentiment I added a little scallop layer and finished it up with some liquid pearls around the edges. I have loved hanging with the OCL girls this month and want to sincerely thank Kendra for letting me play along this month with OCL and to all the lovely ladies for your sweet comments and encouragement! Thank you!! I used the super cute 6x6 DP from MME: On the Bright Side for the grass and backgrounds and added some orange ribbon from my stash on the side and then one larger one on the sentiment from the sweet Moka April stamp set. I loved making this card so much that I had to make another one! I still can't believe that Easter is just around the corner - wasn't it just New Year's last week? Lol! 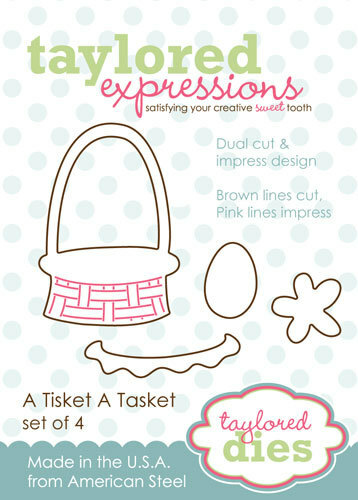 Hope that you all are enjoying the gorgeous weather - can't wait to see the little ones with their Easter baskets soon! Accessories: MME embellishment stickers, liquid pearls, corner chomper, sponger, scallop and circle nesties and circle chipboard, ribbon from stash,heart punch and chipboard letters. I am so happy for dear Julee and Mark as they welcome their twin boys! And can't wait to see more pictures of these two beautiful boys! Welcome gorgeous little ones - I am already in love with you both!!! 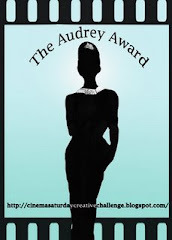 Please check Julee's blog about the birth of her little ones! I am excited to be the artist this month for Our Craft Lounge this March and every monday I am peeking a little OCL creation - this week, I am excited to make a card with this gorgeous stamp set: Proud as a Peacock (OCL). Growing up in India, I have always had a fondness for peacocks - there is something so unique about the call of a peacock let alone their amazing plumage! I stamped this gorgeous peacock in Memento Tuxedo black and then cut out the main body and then stamped the peacock again in Danube blue and then colored it in with copies and adorned the peacock in bling and pearls after cutting it out with some oval nesties. After layering it with some beaded oval nesties, I added some May Arts ribbon and used the scallop from the DP and added the sweet sentiment: "You are Simply Fabulous" to the ribbon. Accessories: May Arts ribbon, liquid pearls, sponger, dimensionals, bling (blue and green), pearls, oval and beaded oval nesties. The little leaves in the DP kind of reminded me of the little feathers in a peacock's plumage. 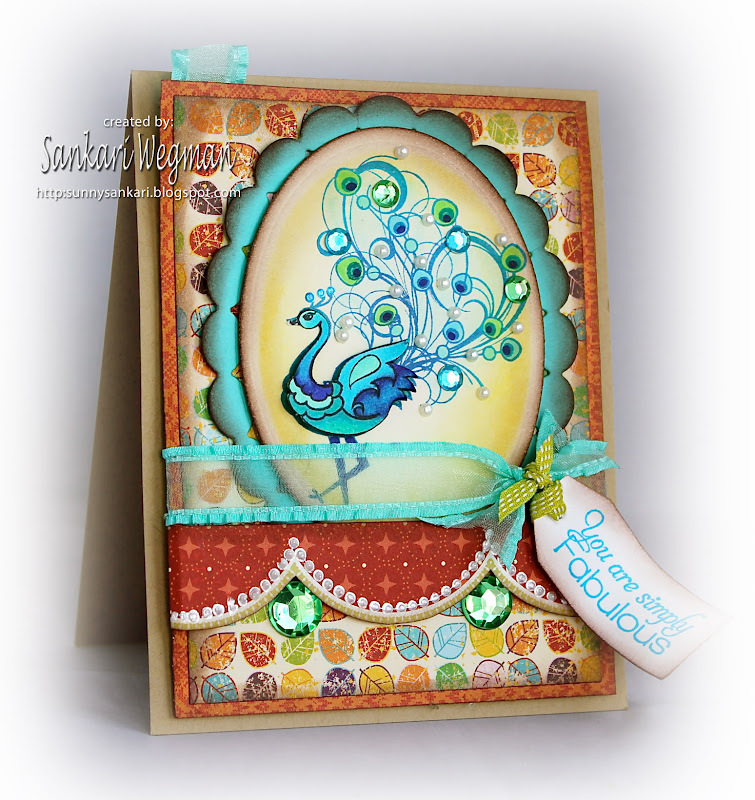 I loved using this beautiful stamp set and love all the beautiful sentiments in this set - can't wait to make more peacock cards! I am still pinching myself at the change in the weather - everywhere I look it seems as if spring has sprung! And somehow, I am not ready! It's only March - we usually don't get Spring weather till April or even May. My coats, sweaters and boots look way to warm but somehow I am a bit nervous to pack them all away and bring out the sandals and shorts... I wanted to make a Springy card inspired by all the springy loveliness from Nature and so I created this card using the sentiment from the newly released stamp set: Spring Cottage from Taylored Expressions along with the lovely fairytale roses from Prima flowers - (love all the Prima embellies that Taylor has) and cut out some leaves from the Rosy Posey Stamp set. I cut out a circle with my nesties and then popped it up onto the kraft card stock after putting the flower DP under it. 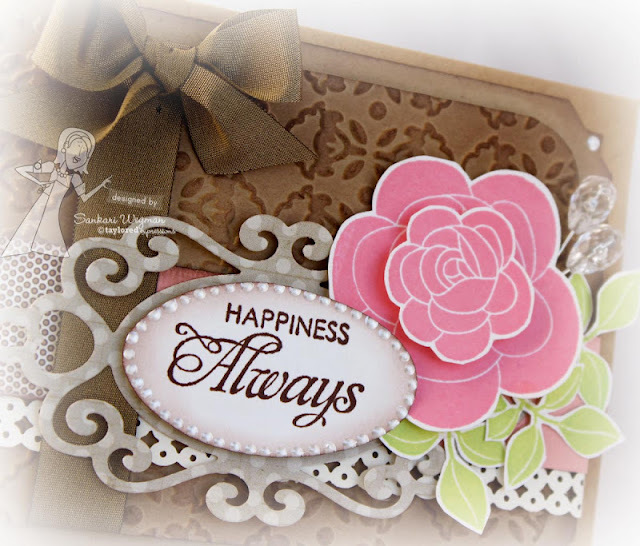 I cut out a scallop border that I then cut out with my circle nestie to create a border and then had the sentiment come out of that and then popped the ribbon with a glue dot on top of the sentiment. The same EK success border was repeated on the top and bottom of the card and then both the top and bottom were lined with liquid pearls. I think this is one of my favorite sentiments - love it! All the fonts from the Spring Cottage stamp sets are so lovely! And I can't get enough of the Rosy Posey stamp set!!! Can't wait to make more soon! 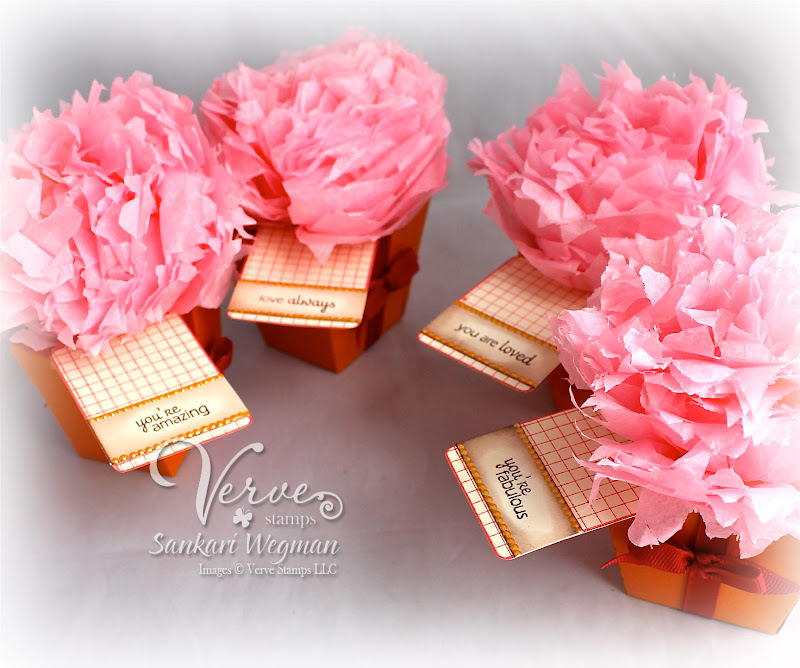 I haven't sent anything to my mother recently and I thought to make her a little tag/card gift set. I had a picture of the kids that is one of my favorites from last year and I cut it out and layered it onto a chipboard tag. 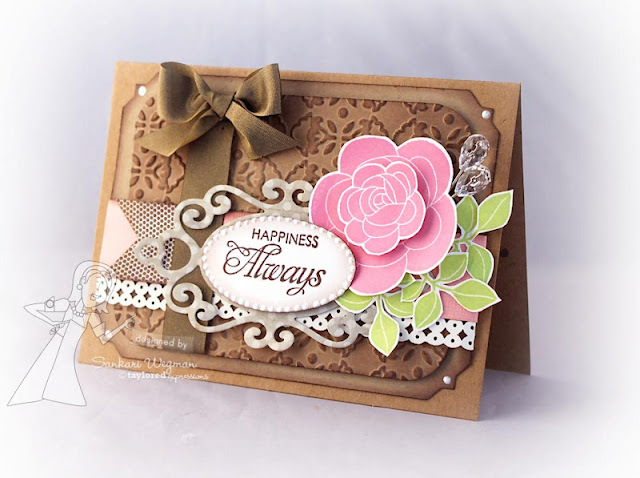 The sentiments are from the Rose Wreath stamp set which is part of the gorgeous seasonal wreath collection from Taylored Expressions and the flowers are from the beautiful stamp set: Rosy Posey. 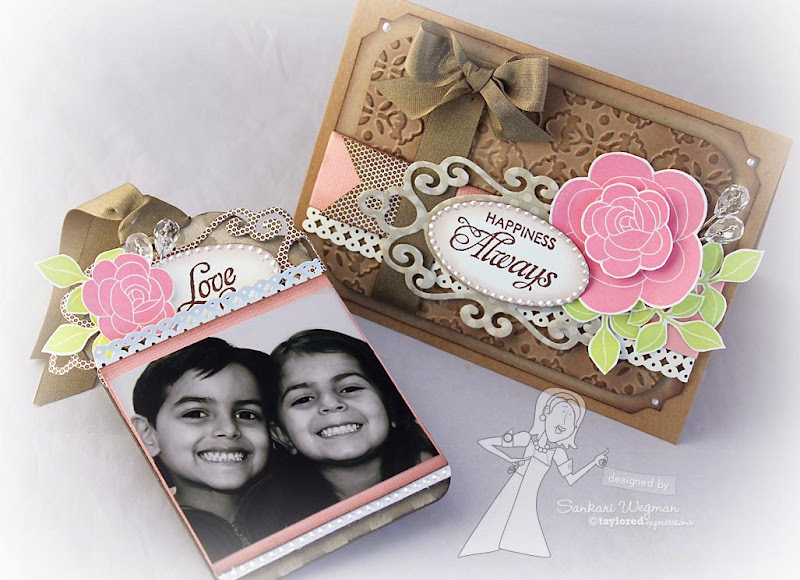 I love this tag that I made using the kids picture, I thought that my mom could keep it in her office :) I stamped only the word Love from the sentiment from the Rose Wreath stamp set and then added the crystal hat pins and the rose and leaves. Love this so much :) Still so hard to believe how fast they are growing up! I love making little projects for my loved ones. 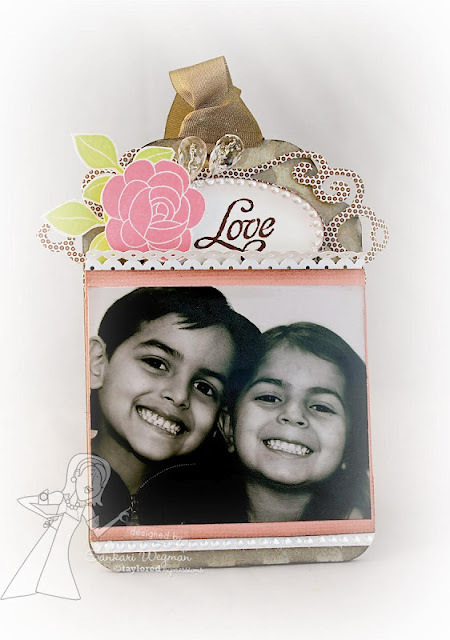 I can't wait to make more of these photo tags - it was so much fun to make using their sweet smiling faces :) Be sure to stop by the Fresh Out of the Oven Section to see what is new at TE as well as the What's the Deal section where you can see what's on sale! 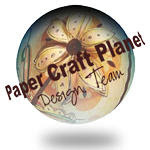 I am so happy to be back and visiting Our Craft Lounge as the artist of the month (still pinching myself!). 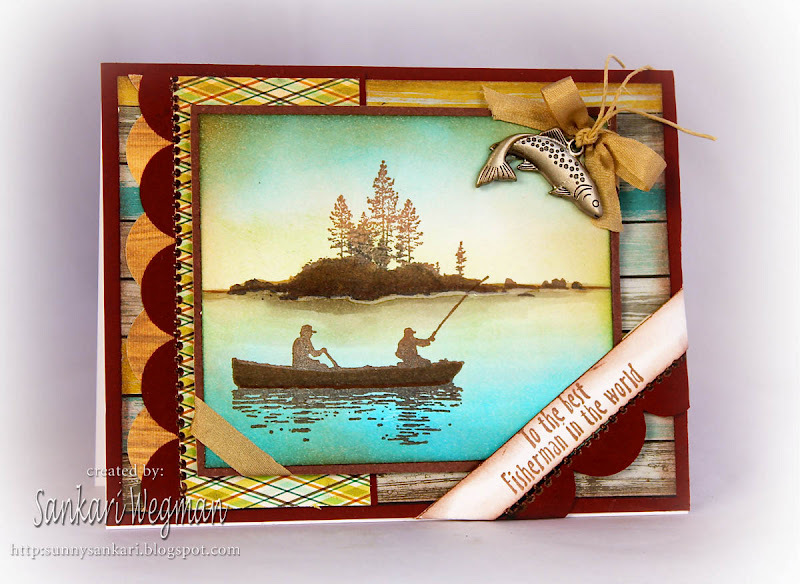 Today I am excited to show a sample using the beautiful stamp set: Fishing with Dad which is perfect for all the men in our lives! This one I made for my dear FIL who loves to fish - whether it be in the summer or in the winter (in a house on a frozen lake!). I love the sentiment: "To the best fisherman" - and the stamps remind me of the stories that my DH tells me of the summer he went up fishing to Canada with his dad. I sponged the background and then stamped the trees and in the foreground, stamped the canoe with the fishermen. I added some copics to make parts of the stamps a bit darker or lighter and added a little glaze line to the horizon to differentiate water and sky. I also am so excited to use this gorgeous May Art silk ribbon - it was so easy to tie and although I always wonder about putting ribbon on manly man cards - I didn't stop to think at all with this super light tawny ribbon :) I added a little fish charm to the ribbon center that I tied a piece of twine to and then finished the card with some scallops and liquid pearls. I am excited to give this to my FIL! Thank you again to the OCL gals for inviting me this month! And thank you for stopping by today! Welcome to the monthly Taylored Expressions Calendar Challenge - where every month members of the design team feature different ways to use all the awesome calendar products in the TE store! 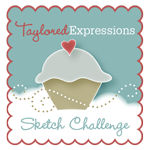 This challenge is open to everyone and if you play along - you could win some amazing prizes from Taylored Expressions! This month I chose to use Moka April with my Perpetual Occasions Calendar which is perfect for keeping track of monthly anniversaries or birthdays! Decorating the whole calendar is also a great gift to give to someone - it is one calendar product that stays the same year to year and will make organizing birthday gifts, sending out cards much easier. I love Moka April's sweet little bunny ears - and paper pieced her dress and then cut her out. I stamped the clouds in the background using the Clouds Border Edge die. The clouds were stamped using Bahama Blue ink not only for Moka April's background but also for sentiment is from the Spring Cottage stamp set and I die cut the easter eggs using the newly released A Trisket A Tasket die from Taylored Expressions. 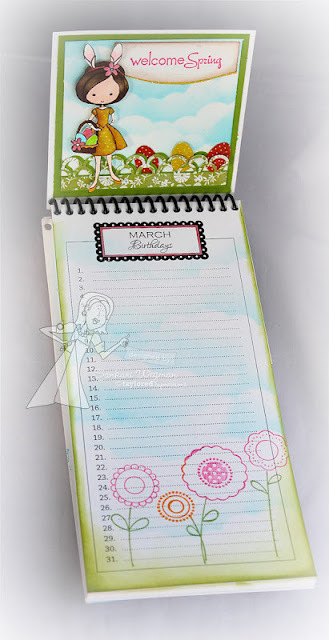 I love making my Perpetual Occasions calendar - such a fun way of staying organized! Please stop by the rest of the DT playing along today to see everyone's gorgeous calendar products! And please stop by Taylor's Blog to get all the information on how to play along with us each month (the only requirement to play along is to use the TE calendar products - but TE stamps are not required). 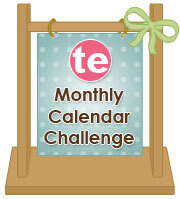 Everyone who plays along in 10 or more of the monthly calendar challenges this year (2012) is eligible to win a TE prize pack valued over $150 !!! 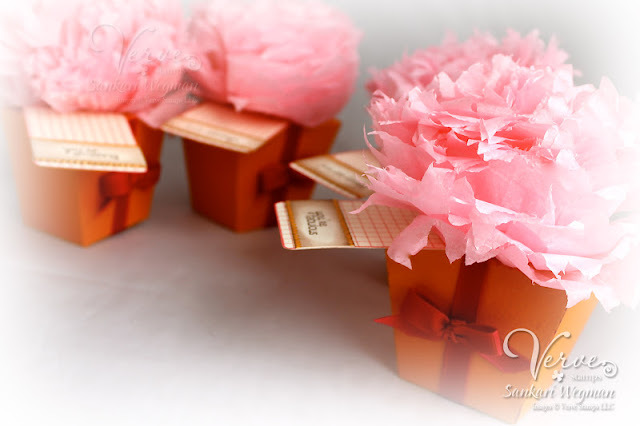 That is some awesome crafting yumminess!!! Happy first Monday in March!! 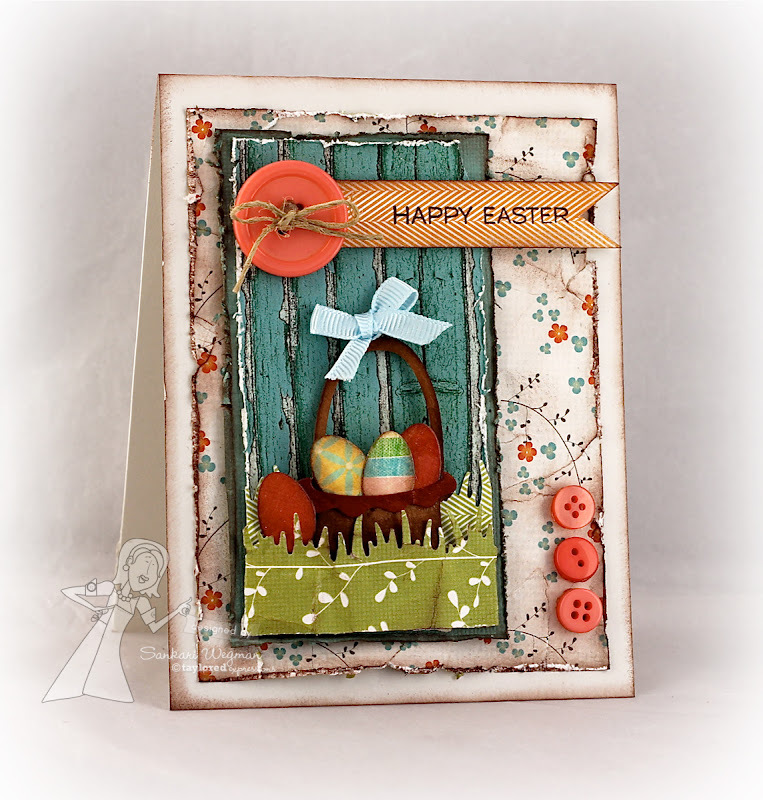 Today, I am so super excited today to be this month's guest designer for Our Craft Lounge every monday in the month of March!! Thank you so much to Kendra Weitstock for gifting me with this opportunity! Accessories: May Arts ribbon, Spellbinders, sponger, liquid pearls, corner chomper, Cotton Candy Sparkly Fluff, bling and dimensionals. 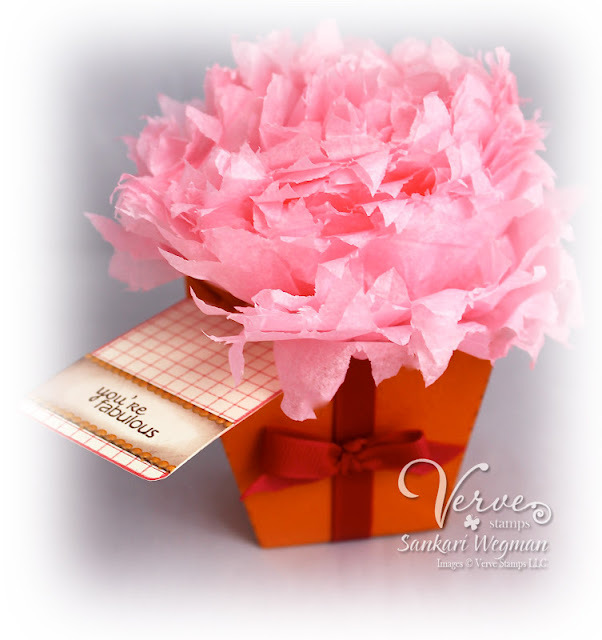 I made this card for a very special friend of mine who is a dance teacher and put a show on this weekend in our town. She always inspires us to dance from our hearts, to feel the music as we dance, to push beyond our fears that might be holding us back from dancing - she is an amazing teacher and a wonderful friend! I love this sentiment - it is so perfect! I imagine all of us leaping into the air and touching the sky together! Thank you again to all the gals at Our Craft Lounge for letting me hang with you this month! And thank you for stopping by today! Be sure to check the TE Current Specials page for Release Weekend Specials and Bundle Deals! 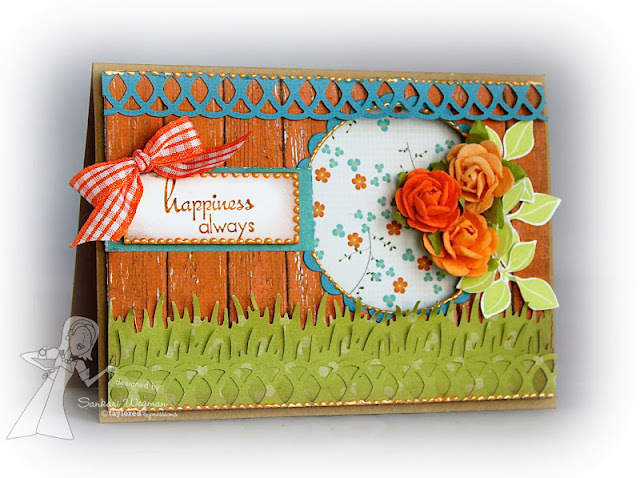 Welcome to Release Day at Taylored Expressions March Release where today we are sneaking peeks from all of the beautiful stamp sets and dies that are being released today!! Woo-hooooo!!! 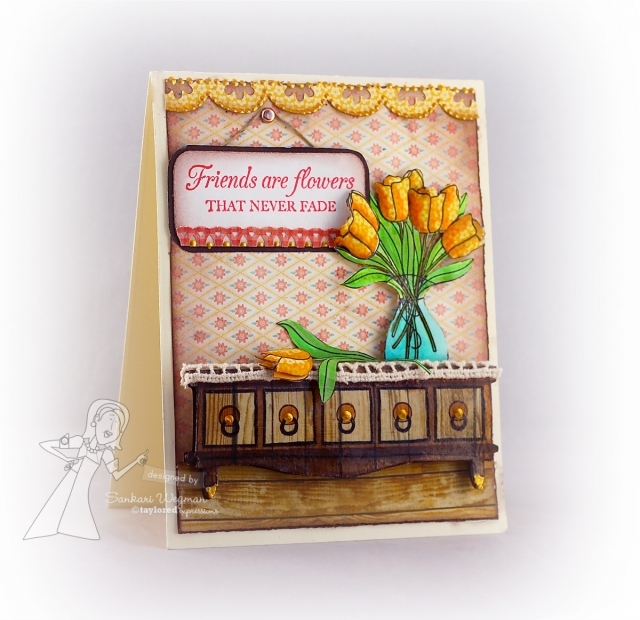 I couldn't wait to make a card from the beautiful stamp set Spring Tulips - I love these gorgeous flowers and the sweet sentiments designed by the super talented Nancy McKinney. As always - all of the Taylored Expressions stamps are deeply etched red rubber that already comes mounted on foam and ready to stamp! All of the stamp sets come one a full color panel and they all can be stored in the Mini Binder Boxes (4 per box) and the Petite stamp sets can be stored in the Petite Storage cases - love storage options!! Accessories: brads, twine, Jumbo Flower Border Die, liquid pearls, dimensionals, glaze, lace ribbon from stash, sponger and Best Glue ever adhesive. I love the papers from the My Mind's Eye: Miss Caroline (Howdy Doody) collection - one of them looked like perfect wall paper for the room and I used another paper to paper piece and sponge the tulips in the vase and to paper piece the shelf that I then added a glaze over. I layered a piece of vintage lace over the shelf and added some dimensionals to pop everything up a little bit. To celebrate the release and Spring - Taylor has a select Spring stamps on Sale!! (please check them out here) and also make sure to check out the Fresh Out of the Oven link for all the new items in the store!! Thanks sos much for stopping by today!